I’m offering another short lesson in blogging shortcuts I’ve learned. Back a few months ago when I started my nature blog, and was trying to get attention for it, a chapter mate suggested tweeting it with Tiny URL. Open your post. 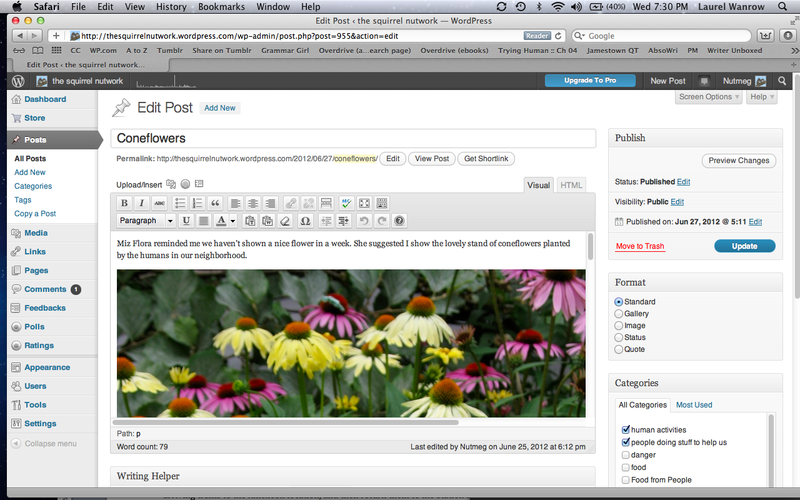 Note in the screenshot below just underneath the title box (Coneflowers) is a row of buttons. The last is ‘Get Shortlink.’ Click it. The box gives you the highlighted URL. Copy and use to paste in your tweet or to your Facebook entry. 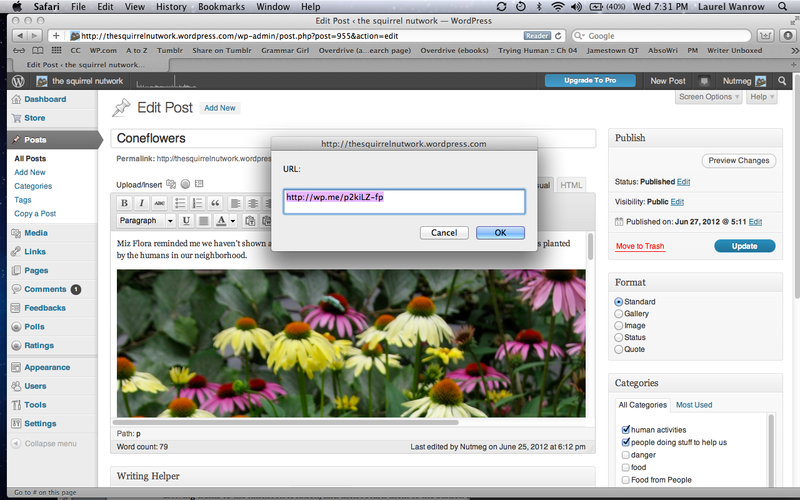 There is a second shortlink accessible when you open your website in edit mode. 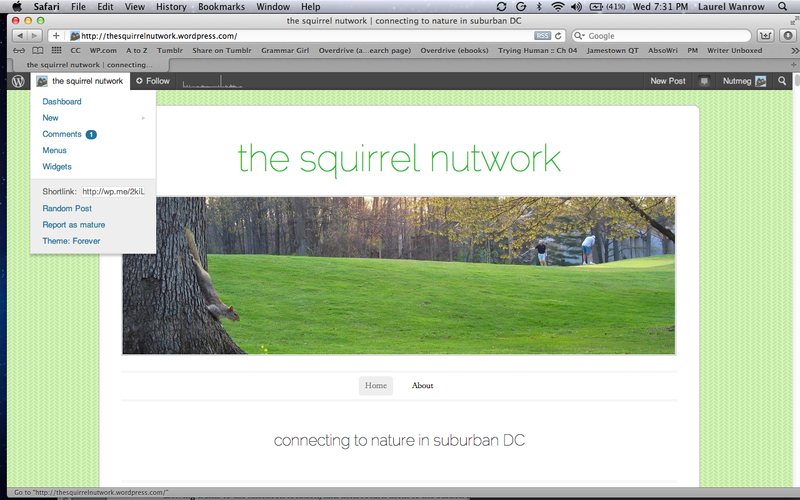 Look for your icon and website name at the upper left and click for the dropdown menu. In the lower half is a shortlink is for your website home. I have used the post shortlinks as links back to prior posts within my website. One caveat: Be sure when you post the shortlink in the link box that the existing ‘http://’ that is highlighted is replaced by your complete link, not added to it. I had a couple of malfunctioning links and discovered my pasting was faulty.